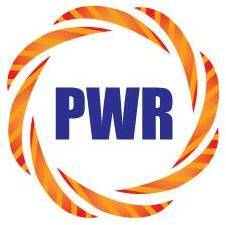 Pakistan Wire is a leading manufacturer of steel wire and wire products. We recognise that our production and transportation activities have an impact upon the environment. We are committed to minimising the affects of our business on the environment and seek to constantly reduce and remove any negative effect upon the environment. Pakistan Wire carries out its business activity in accordance with environment protection regulation requirements. Pakistan Wire continously improves its systems of environmental management, considering this to be one of integral elements of sustainable, competetive advantage. Pakistan wire's aim is to constantly improve in all areas including environmental performance. A number of important initiatives support this philosophy. 1. Implementation of a formal Environmental Management System to meet the requirements of ISO 14001. 2. Implementation of an Energy Management Plan. 4. Improve measuring capabilties through installation of additional water meters. 5. Development of a methodology for the waste minimisation audits, including a review of water use, waste disposal options and raw material substitutions. 6. Installation of continous flow and pH metres on effluent streams. 7. Installation of electro-galvanising line and associated effluent treatment facility. Pakistan wire is expecting to be granted a permit by the Environment Agency, which will require us to monitor all or specified emissions to air, sewers and other disposal (waste), against set maximum limits determined by the EA. We plan to make available information which records our performance against our maximum limits.